The Minnesota Lynx learned on Tuesday morning that at least two players will represent them at the 2017 WNBA All-Star Game in Seattle. Sylvia Fowles and Maya Moore were voted in as Western Conference starters for the game on July 22 at KeyArena. The recognition of being voting in as starters are certainly well-deserved for both Fowles and Moore, who are off to nice starts to the 2017 season, leading the Lynx to a WNBA-best start. Fowles is having an MVP-calibar season, averaging a career-high 20.1 points, 10 rebounds, 1.9 blocks, 1.7 assists and 1.6 steals per game through 15 games. Her efforts were recognized in the voting results, as she finished first in the West in player rank and media rank and third in the fan rank to tie with Moore for the best weighted score among West frontcourt players. Moore is having another solid year for Minnesota, averaging 15.4 points, 5.5 rebounds, 3.9 assists and 1.6 steals per game. Moore finished first in fan rank, second in player rank and fourth in media rank to tie with Fowles for the best weighted score among West frontcourt players. 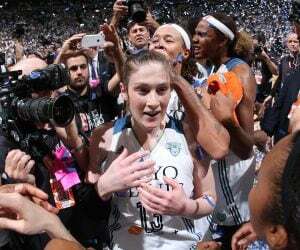 There will be more familiar faces to Lynx fans that will be making appearances at the All-Star Game later this month. 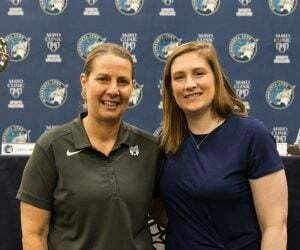 Cheryl Reeve, along with her coaching staff, will be in charge of coaching the Western Conference during the game. For Fowles, it will be her fourth All-Star appearance, while Moore will be making her fifth appearance in the game. And for the two Lynx standouts, the recognition is certainly well-deserved. 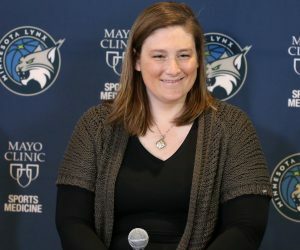 The Lynx will find out if any more players will join Fowles and Moore on July 18. The All-Star reserves, who will be selected by the Eastern and Western Conference head coaches, will be announced on during ESPN2’s telecast of the Seattle Storm vs. Chicago Sky game on July 18. That game will begin at 8 p.m. Central Time. 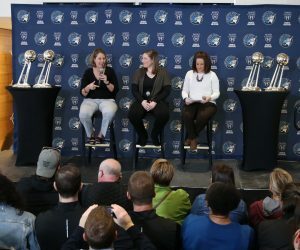 The Lynx will play in their first Twitter game on Friday night against the Phoenix Mercury in Phoenix. Twitter announced before the season they will live stream 20 games throughout the next three WNBA seasons. Minnesota will make its debut on Twitter at 9 p.m. Friday night. 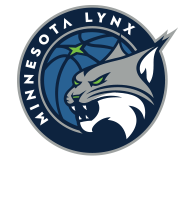 Friday’s game is the first of three games this season that the Lynx will can be seen on Twitter. The next two games will come on Aug. 25 in San Antonio and Aug. 30 in Indiana.